I just caught a bit of Vote Leave’s referendum broadcast earlier this evening. It was broadcast around about 7 O’clock, just before the One Show. I didn’t see all of it, as I was busy here, putting up article, but just managed to catch a snippet where they claiming that the £350 million they claim we spend every week on Europe could be used to build hospitals in the NHS. They then claimed that the EU therefore was undermining the Health Service. They then went on to scaremonger about immigration, raising the dire spectre of what might happen when Albania, Macedonia and Turkey all join the EU. There were large, scary arrows from those countries running across Europe to Britain, rather like the diagram of the Nazi advance in the titles of Dad’s Army. Which is actually what I’d much rather be watching, even in the recent film version, than the Brexiteers and their wretched propaganda. 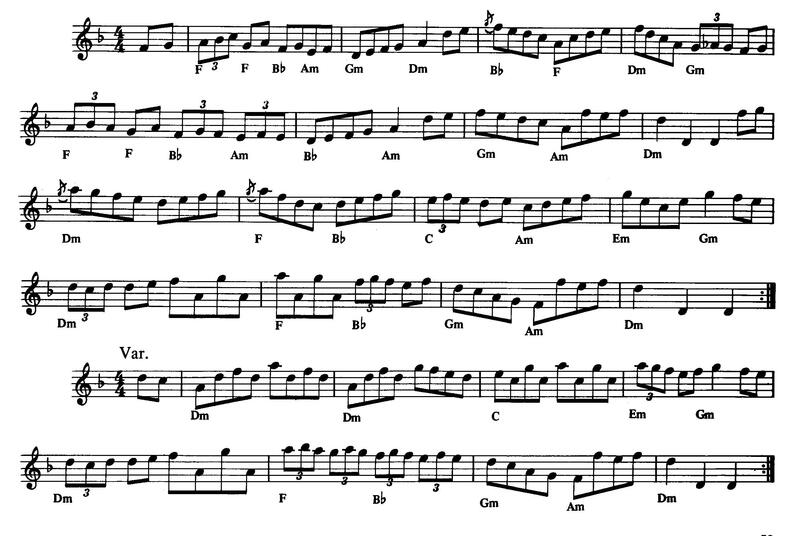 But they made, the claim, so let’s filk it. First of all, the claim that Britain spends £350 million every week on Europe has been refuted again and again. Yes, we do spend that money, but we get over £100 million or so of it back. So in net terms, no, we certainly don’t spend that amount. See Mike’s articles about this over at Vox Political. Then there’s that guff about funding the EU diverting money away from the NHS. This is rubbish. What is undermining the NHS is the stealth privatisation carried out by Andrew Lansley’s Health and Social Care bill of 2012. This has opened up the NHS to further privatisation by private health care firms, such as Virgin, which under law must be given contracts. This has frequently gone against the wishes of the patients using the NHS. The reforms included forcing local authorities responsible for some NHS provision to contract out at least 3 medical services from a list of eight sent down by the government. Furthermore, the remaining state-owned and managed sectors of the NHS are being deliberately starved of funds as part of the campaign to privatise the whole shebang. See Jacky Davis’ and Raymond Tallis’ NHS SOS, particularly the chapters ‘1. Breaking the Public Trust’, by John Lister; ‘2. Ready for Market’, by Steward Player, and ‘7. From Cradle to Grave’, by Allyson M. Pollock and David Price. It’s a lie that the NHS is being starved of funding due to Europe. It’s being starved of funding due to Lansley and the rest of the Conservative party and their purple counterparts in UKIP. If Vote Leave were serious about the funding crisis in the NHS, then Johnson, Gove, Patel and the other xenophobes and Little Englanders would have voted against Lansley’s bill. They didn’t. They supported it. Let’s deal with the threat of people from Turkey, Albania and Macedonia all flooding over here in the next few years. This too, is overblown and pretty much a lie. Turkey would like to join the EU, but the chances of it actually qualifying to do so are presently remote. Critics have suggested that it’ll only reach the point where it has developed sufficiently to be admitted in about 30 years’ time. So the Turks are hardly likely to come flooding up from Anatolia in the next few years. As for Albania and Macedonia, I’m sceptical about the numbers that will come from those nations due to the open borders policies. Mike’s posted up pieces reminding us all how millions of Romanians and Bulgarians were supposed to be ready to inundate Britain, and in the event only a small number arrived. Mark Steel, the left-wing activist and comedian, in one of his newspaper columns, republished in Colin Firth and Anthony Arnove’s The People Speak: Democracy Is Not a Spectator Sport, attacked the inflated claims of the threat of uncontrolled immigration by pointing out that many of the Poles, who were supposed to flood in, had in fact gone back to Poland. So while it’s certainly possible that a vast number of Albanians and Macedonians may want to come to Britain, it’s also possible that few in fact will. And in any case, why would they all want to come to Britain? The impression given by the Brexit video tonight was that Britain was a tiny island under siege, and that the first country that the Turks, Albanians and Macedonians would all head for was Britain. But why? Britain’s social security system and welfare state – or what remains of them – are much less generous than some parts of the rest of Europe. Britain does have more cache, apparently, than some of the other nations, but Britain is by no means the sole destination for migrants, as we’ve seen. Vote Leave’s video tonight was little more than right-wing scaremongering. What I saw was mostly speculation, and when it wasn’t speculation, as on the piece on the NHS, it was a distortion compounded with lies. There are problems with Europe and immigration, but leaving the EU isn’t the solution. Indeed, voting for Johnson, Gove, Patel, Farage and their cronies will only make the situation worse. They want to privatise the NHS, just as they want to remove the EU human rights legislation and social charter that protects British workers. The anti-EU campaign is part of this programme to grind down and deprive working people of their hard-won rights at work and for state support in sickness and unemployment. Don’t be taken in. Much of the debate about immigration is now dominated by concerns about the mass influx of asylum seekers from Africa and the Middle East, rather than about migrant workers from the rest of the EU. However, concerns about the rise in immigrants from eastern Europe were extremely prominent a few years ago, and my guess is that the same fears are still present and underlie much of the debate about Brexit, although on the surface much of the argument is about the potential harm to the British economy and industry. 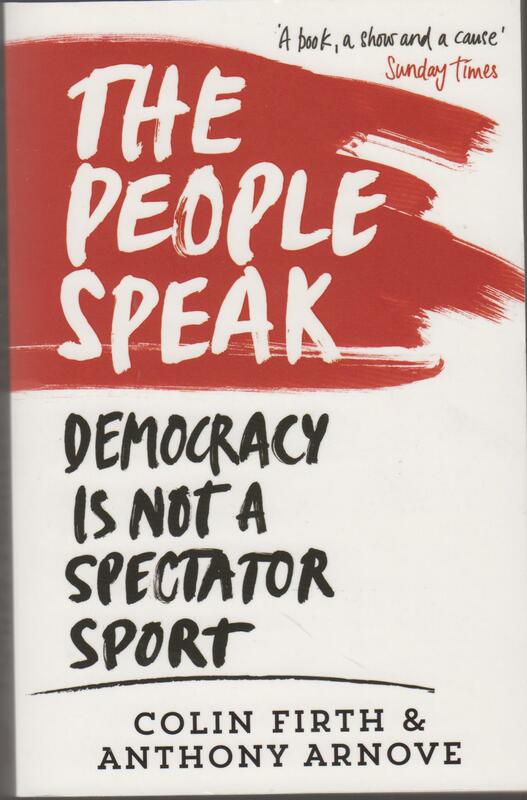 I found the following piece by Mark Steel attacking the British press and media for stirring up fears about EU migrants, and specifically the Poles, in the collection of radical tracts and writings, The People Speak: Democracy Is Not a Spectator Sport, edited by Colin Firth and Anthony Arnove (Edinburgh: CanonGate 2013). It’s taken from his weekly column in the Independent for 9th September 2009. Even then it turned out these figures were taken disproportionately from London, where the immigrant population is higher than across Britain, and anyone arrested for murder who didn’t fill in the box marked ‘nationality’ was assumed to be an immigrant. Because say what you like about a British murderer, at least they have the manners to complete a form in full afterwards. This is very relevant, because the papers that do report the migration crisis in such terms are exactly the same that have encouraged their readers to travel abroad and buy homes there. And while it seems to have died down recently, it is a serious problem. I read a piece a little while ago – I’m afraid I can’t remember where from – but it said that there was a problem with rich people from northern Europe buying homes and colonising the poorer areas in the south, such as Greece. And thirty years ago, when I was at school, I can remember reading a story in the Sunday Express about protests in either Greece or Crete about the way Brits were buying up the available homes there. The local politicians were objecting to it and attempting to pass measures against it on the grounds that it was more British imperialism. I haven’t heard of anything like that since then, but if it did recur, then they would certainly have a point. As opposed to the Express, the Heil and pretty the whole of the right-wing press, which has long ago lost any decent reason for its existence. Except possibly to provide sources of outrage and comedy for writers and broadcasters like Mr Steel. This is another piece of news from America, which is also relevant over here. In it, the left-wing news anchor and political commentator Rachel Maddow discusses the Republicans’ refusal to ratify an international treaty promoted disabled rights and accessibility worldwide. The treaty is itself based on legislation, which George Bush SNR signed was back in 1990. Maddow describes it as making the American laws stipulating public access for disabled people the ‘gold standard’ around the world. It had large, bi-partisan support, and was being promoted by the both the leaders of the Democrats and Republicans. This included John McCain, the former Republican presidential candidate, who addressed the senate from his wheelchair. It was, however, turned down and blocked by the Repugs for what Maddow describes as ‘tin-foil hat’ reasons, that she said she wouldn’t dignify by repeating. If it’s like other international legislation that has been voted against by the Republicans, then my guess is that it involved fears about loss of sovereignty. Almost a decade ago, when the American Right was loudly denouncing Islam for the practice of Female Genital Mutilation, they refused to support an international motion in the United Nations to ban it around the world. Why? The reason appears to me to be the same reason that America has never signed up to the Human Rights court to try war crimes in the Hague. There’s a deep, pernicious fear amongst Republicans of allowing foreign nations reciprocal rights over the US. It contravenes the deep feelings of American exceptionalism in the party. This demands that America should have the freedom and power to enforce its moral standards around the world, but should never have to submit to legal constraints or judgements from other countries. This piece of news shows how far this attitude seems to go, right up to the point where it actually contravenes an American initiative to promote their standards as that of the world’s on a social issue. I also decided to put this up because of the brief background information it gives on the disability rights movement in the US. Or at least that part of it, which campaigned for mandatory access to public transport. It came from a group called ADAPT – Americans Disabled for Access to Public Transport, which was set up in Denver in 1983. They staged a series of campaigns where they tried to get on buses en masse, despite being turned away and arrested, as the video shows. Colin Firth and Anthony Arnove include a piece by the Bristolian disability activist, Liz Crowe, ‘Catching Buses’, in their anthology of radical historical texts, The People Speak: Democracy Is Not A Spectator Sport. In it, Crowe describes her campaign to get disabled people access to public transport. The piece is from 1999, nine years after George Bush made it law in America. One of the pieces collected by Colin Firth and Anthony Arnove in their anthology of democratic, republican, Socialist and radical texts, The People Speak: Democracy Is Not a Spectator Sport, is an excerpt from Thomas Paine’s Rights of Man. Paine was a committed democrat and revolutionary. He was born in Thetford, and made his living from making ladies’ stays, before emigrating to Pennsylvania in 1774. IN 1776 he published Common Sense, attacking British rule in America and demanding a revolutionary, republican government. He became a firm supporter of the French Revolution when it broke out, writing the Rights of Man in 1791 to answer the criticisms of the Revolution made by Edmund Burke in his Reflections of the Revolution in France. He was arrested and imprisoned as a suspected counter-revolutionary for arguing against the execution of the king. He was eventually released, and moved back to Britain. In dress and person very cleanly. He wore his hair cued with side curls and powder like a French gentleman of the old school. His eye was full brilliant and piercing and carried in it the muse of fire. Hitherto we have considered aristocracy chiefly in one point of view. We have now to consider it in another. But whether we view it before or behind, or sideways, or anyway else, domestically or publicly, it is still a monster. In France, aristocracy had one feature less in its countenance than what it has in some other countries. It did not compose a body of hereditary legislators. it was not ‘a corporation of aristocracy’, for such I have heard M. de la Fayette describe an English house of peers. Let us then examine the grounds upon which the French constitution has resolved against having such a house in France. Because, in the first place, as is already mentioned, aristocracy is kept up by family tyranny and injustice. 2nd, Because there is an unnatural unfitness in an aristocracy to be legislators for a nation. Their ideas of distributive justice are corrupted at the very source. The begin life trampling on all their younger brothers and sisters, and relations of every kind, and are taught and educated to do so. With what ideas of justice or honor can that man enter a house of legislation, who absorbs in his own person the inheritance of a whole family of children, or metes out some pitiful portion with the insolence of a gift? 3rd, Because the idea of hereditary legislators is as inconsistent as that of hereditary judges, or hereditary juries; and as absurd as an hereditary mathematician, or an hereditary wise man; and as ridiculous as an hereditary poet-laureate. 4th, Because a body of men, holding themselves accountable to nobody, o8ught not to be trusted by anybody. 5th, Because it is continuing the uncivilized principle of governments founded in conquest, and the base idea of man having property in man, and governing him by personal right. 6th, Because aristocracy has a tendency to degenerate the human species. Paine’s arguments are clear very relevant today, when reform of the House of Lords is very much on the political agenda following Tony Blair, and with a cabinet of Tory and Tory Democrat aristos, like David Cameron, Nick Clegg, George Osborne, and Iain Duncan Smith, who have no knowledge of and absolutely no sympathy for ordinary people. They seem to see us very much as their ancestors did: as proles, peasants and ‘rude mechanicals’, to be exploited, whilst government should be very firmly held in the hands of an aristocratic elite. 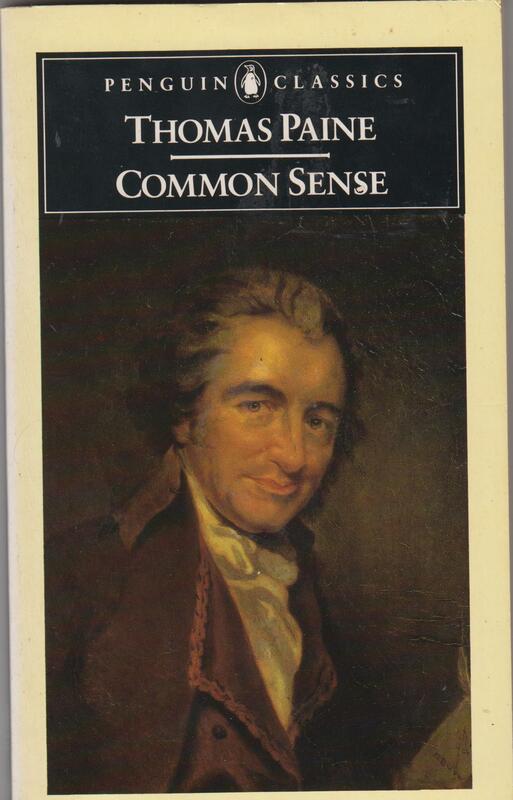 An edition of Paine’s Common Sense, edited and with an introduction by Isaac Kramnick, was published by Penguin Books in 1976. Jess also posted up this poem by John Clare, the 19th century poet and agricultural worker, in her comment to one of my pieces on radical working class music and poetry, as another piece that continues to speak to modern needs and issues today from over a hundred years ago. In this instance it’s the threat to the environment from intensive commercial agriculture. 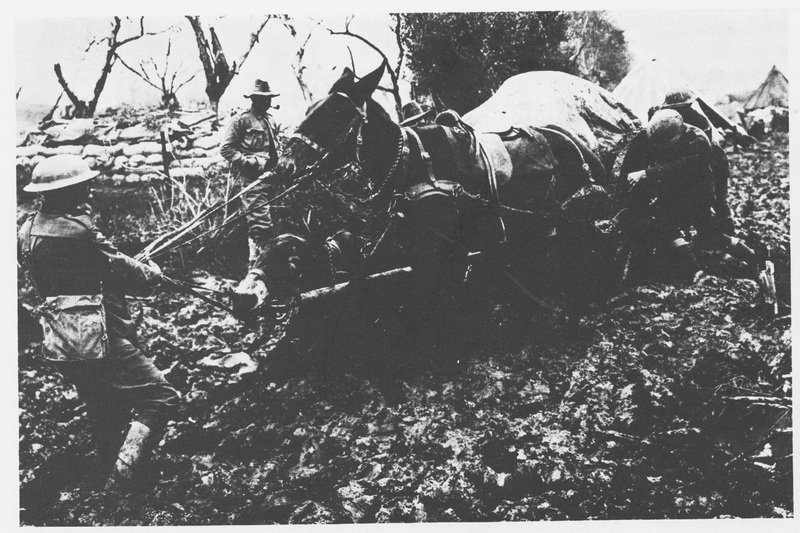 Firth and Arnove include it in the section, ‘Land and Liberty’, in their The People Speak, as an example of popular protest against the Enclosures, which saw thousands of tenant farmers and agricultural workers forced off their land as they were enclosed and developed by the landlords. 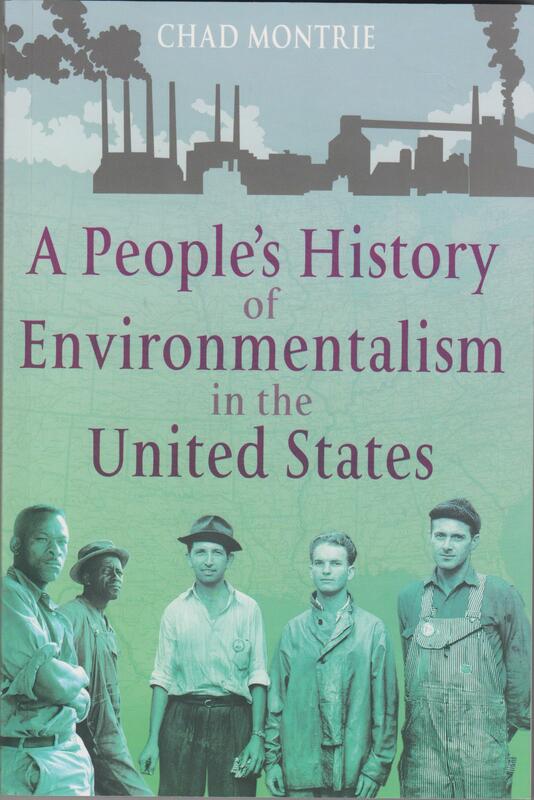 Historians now take the view that before the rise of the Romantic movement, and particularly before Shell published their motoring guides to the British countryside in the 1920s and 1930s, people had a much more utilitarian attitude to the environment. Rather than seeing it simply or primarily as a place of beauty, it was seen instead as a working environment, valued by the people who lived there for the resources they could exploit. This changed when Shell published their motoring guides, which opened the countryside up to city dwellers, who were now able to travel by car into the countryside to enjoy its beauty and quaint, historic buildings. I’m not entirely convinced by this. While people I know who’ve come from a farming background have said that the farming and agricultural community does have a much less romantic attitude to the countryside, and does indeed see it in terms of what can be used, people down the centuries have always celebrated it’s beauty. You can see it as a far back as one of the Viking romances. There is a tale where a Viking warrior decides to leave his home due to harassment from other, hostile warriors. Travelling on the road away from his farmstead, he takes one last look at it. He is struck by the beauty of the sun shining on his farm in the valley, and so changes his mind. He turns back, determined to fight for his land and his home. And of course there are all the songs and poems written during the Middle Ages about the beauty of the countryside in spring time. As for modern attempts to preserve the environment, these date to the late nineteenth century, when Ruskin and others up and down the country started a movement to preserve the local countryside from development so that local people could continue to enjoy it, over two decades before the Shell Guides appeared. The enjoyment of the countryside, not just as a place of work, but also as a place of leisure and beauty, goes back a long way. We decided to invade the Ritz Hotel in Piccadilly. Everything was well planned. The press – that is, the London and national newspapers (and in those days before the swallowing up of the little fish by the big ‘uns under free enterprise there was quite a number of them) were all informed in advance. At the appointed time about 150 of our unemployed members, all dressed up in such remnants of our best suits as had escaped the pawnbroker, walked quietly into the Grill and sat down. This did not have the quite hoped-for effect, for due to a mistake – the only organizational mistake I can remember on the part of the campaign committee – we had overlooked the fact that the Grill was never open in the afternoons, only in the evenings. However, we continued as planned, took our places at the tables which were being set by waiters in readiness for the evening, and then pulled our posters from beneath our coats, with slogans calling for an end to the Means Test and more winter relief for the aged pensioners. Can you imagine the looks on the faces of the waiters! They stood still in their tracks. Up rushed the management supervisor demanding to know what it was all about. He was politely told by our elected speaker, Wal Hannington, that we would like to be served with some tea and sandwiches because we were very tired and hungry, but he was not to be anxious and could present the bill which would be paid on the spot. When the supervisor regained his breath he said, in a very cultured, precise Oxford-English voice: “I cannot permit you to be served. You are not our usual type of customer. You know full well that you are not accustomed to dine in an establishment of this quality. If you do not leave I shall have to send for the police.” (This had already been done.) In reply our spokesman informed him that many was the Saturday when wealthy clients of the Ritz would drive down to the East End workmen’s caffs in their Rollses and Daimlers and have a jolly hot saveloy, old Boy7, what! Slumming, they called it, and they too were in unusual attire and frequenting establishments that were not accustomed to such a clientele; nevertheless, said our spokesman, these gentlemen were treated with courtesy and civility and nobody sent for the police. The Ritz, he added, was not a private members’ club but a public restaurant ; he requested the supervisor to give orders to the staff to serve us with the refreshments we had asked for. The appeal might just as well have ben addressed to the chandelier which hung from the ceiling. The supervisor stood there with a look of scorn, waiting for the police to come and throw us out. We refused to budge, insisting on our right as members of the general public, with legal tender in our pockets, to be served with what we had ordered. Meanwhile Wally had mounted the orchestra platform to address us; waiters and kitchen staff stood around dumbfounded at our temerity. But our speaker was incensed and in good form, and the issue of class privilege was clearly put. I noticed several of the staff members nodding their heads as the speaker touched on salient points. His speech was never finished, however, for the Grill was soon surrounded by the police. A couple of inspectors came over and consulted our organizers; we were ordered to leave, and did so in an orderly manner. As we filed out several of the waiters came up to wish us luck in our campaign, and pressed money into our hands. ‘Jack Dash, The Invasion of the Ritz Hotel (c.1938)’ in Colin Firth and Anthony Arnove, The People Speak: Democracy Is Not A Spectator Sport (Edinburgh: Canongate 2012) 296-7. The invasion of the Ritz Hotel was also featured a little while ago in a previous episode of the One Show on BBC 1. The authors of Socialist Enterprise: Reclaiming the Economy, Diana Gilhespy, Ken Jones, Tony Manwaring, Henry Neuburger, and Adam Sharples also note the establishment of centres for unemployed workers in Brmingham, Coventry and Sandwell, as well as the establishment of a Birmingham Trade Union Resource Centre and support given to a Workshop in Coventry to support unions campaigning against the closure of their firms. West Midlands County Council also had an Economic Development Unit had a trade union liaison officer. It also produced a ‘Jobs at Risk’ information pack for workers whose companies were either in difficulties or about to close down. (p. 59). I’m sure there are organisations like the National Unemployed Workers Union campaigning for the unemployed. Unfortunately, the trade unions have been decimated by Thatcher and successive administrations, while local authorities have found their spending savagely attacked. No doubt part of this was to prevent Left-wing councils spreading such subversion by empowering the hoi polloi. We could, however, do with a few more very visible protests and campaigns to raise the profile of unemployment, and just how savage, degrading and inadequate current welfare provision is. Pointing out that IDS’ reforms are leading to deaths of 38,000 per year, so that no-one can claim ignorance, would also be an immense help. I do wonder if a mass march on Chipping Norton, or invasion of the Carlton Club following the example of Jack Dash and the Ritz wouldn’t do any harm, either.